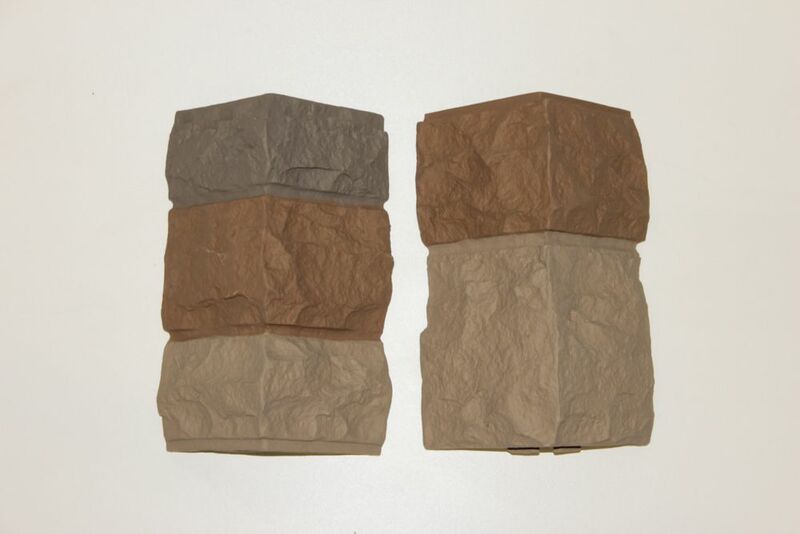 Rockface Grey-Beige Corners Polyroche Inc. products are composed of specially formulated polyurethane. Incorporated in the product are UV inhibitors and fire retardants. Our products can be installed on exterior or interior applications. There are various textures, motifs and colours available. Our professionals have created panel reproductions that derive directly from real stone. This is why our products always deliver a very realistic rock appearance. Furthermore all of our products belong to a do-it yourself category of products. In fact, 90% of our customers have installed on their own, purely because of extremely simple installation. Each panel covers a 4 sq/ft area, the panels are 1 foot high by 4 feet long and are sold in boxes containing 4 panels. The panels have tongue and groove technology; they interlock and are installed with screws. The panels are lightweight and extremely durable. They are 100% weather proof and are 100% UV resistant and all of our products have a 20 year warranty.